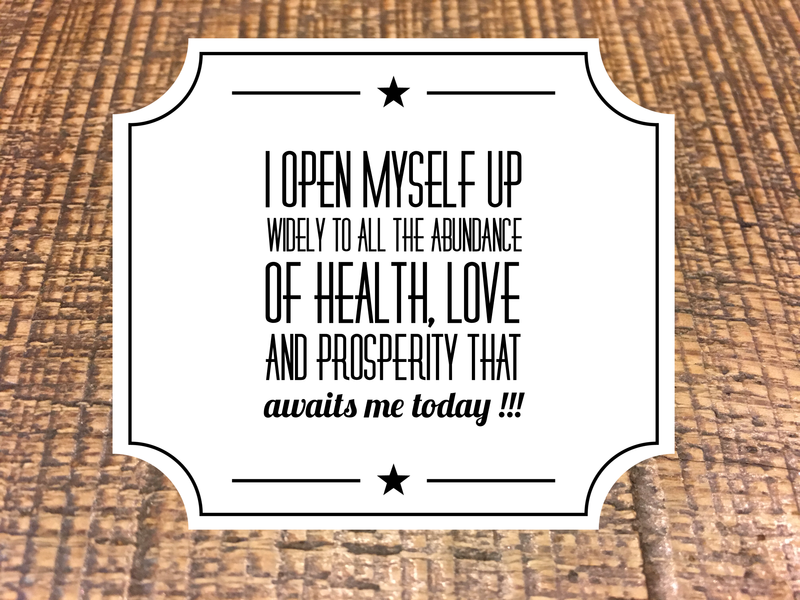 Each morning, upon arising, after smiling and saying thank you, and meditating, and doing my yoga, and connecting with source, I stand up, lift my arms into the air and say “I open myself up widely to all the abundance of health, love and prosperity that awaits me today !! !” This affirmation is intended to remind me that the only thing that can possibly get in the way of manifesting abundance in all areas of my life is me. It is by acknowledging and inviting the abundance in, coupled with the consistent and diligent footwork I put in each day, that I have been blessed with abundance beyond my wildest dreams and ILML!